HAVERING ...Meh: PARKING: You drive me crazy! PARKING: You drive me crazy! 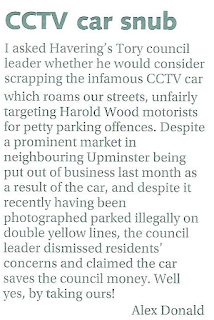 Since writing this Bulletin article for the Residents' Association (see below), it's been revealed last year Havering Council made the 2nd biggest increase in profits from parking charges in the whole of London. That's a staggering 186% increase of our money in their coffers. 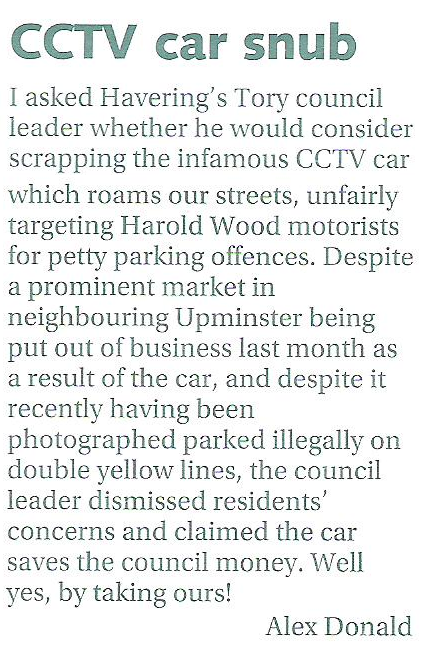 This greedy Tory Council's also planning further parking charges at the Hilldene Shopping area in Harold Hill. Would you pay 20p to buy a 40p newspaper? According to a recent poll conducted by Streetlife.com, an overwhelming 79% of residents oppose these new charges. Why not tell the Council what you think in their consultation?